“I had always dreamed of being a mom. For as long as I can remember that’s the main thing I aspired to be. 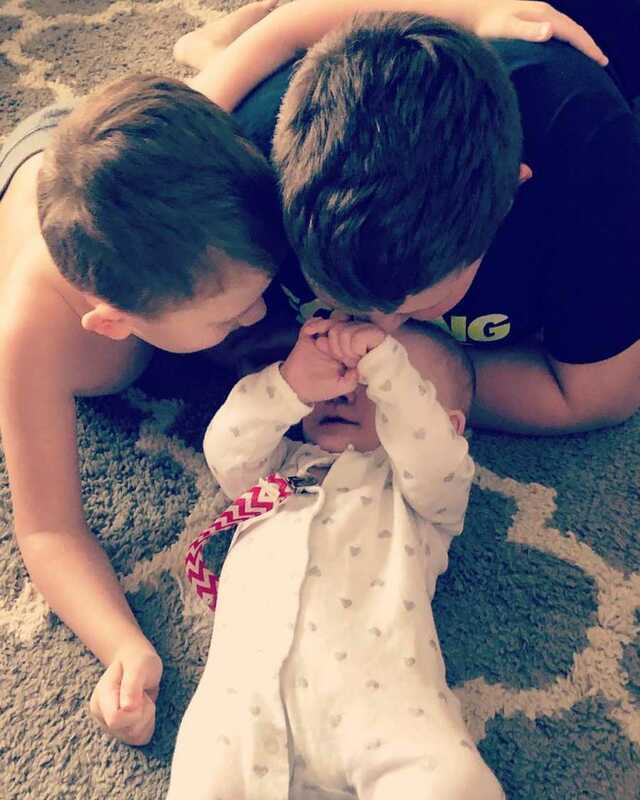 I am so grateful to get to be a mother to 3 amazing kids. But getting here wasn’t easy. I had my first son in 2007. I was 19 years old. My husband and I were excited and terrified. 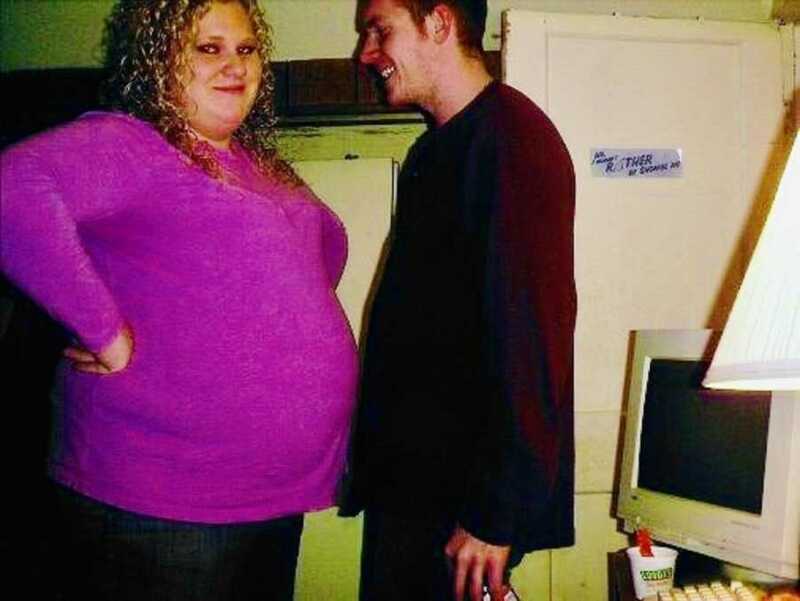 He had been in a work accident during that pregnancy and almost lost his hand. He’s missing a couple fingers and dealt with gangrene and 3 surgeries. We went through a lot for as young as we were. I was 38 weeks pregnant and at my weekly doctor’s appointment. My blood pressure was very high and there was protein present in my urine. I was diagnosed with preeclampsia and told to go straight over to the hospital to be induced. I was absolutely terrified. I was due to pick up my husband from work after my appointment. I was by myself. I left the doctors office in tears calling family members and arranging for my husband to be picked up and brought to the hospital. 36 hours later, my baby boy was born. 7lbs 9oz of perfection. 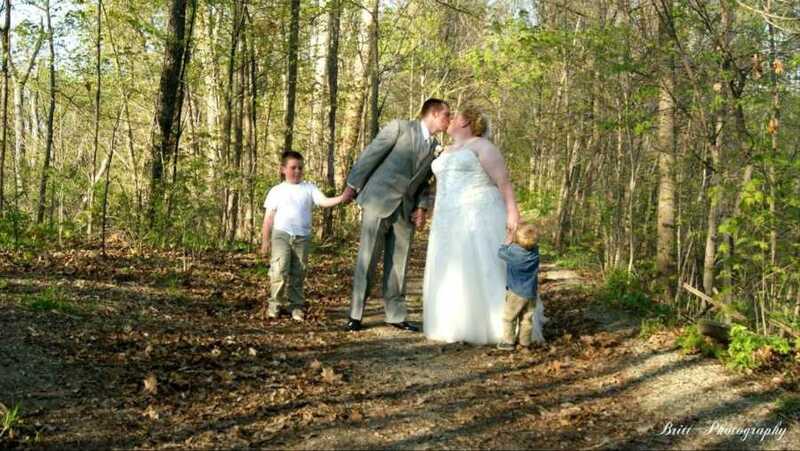 Fast forward 5 years to 2012 and I was pregnant again with my second son. I had very high blood pressure from the beginning. I was monitored by an MFM specialist and watched very closely. I also was started on blood pressure medicine. 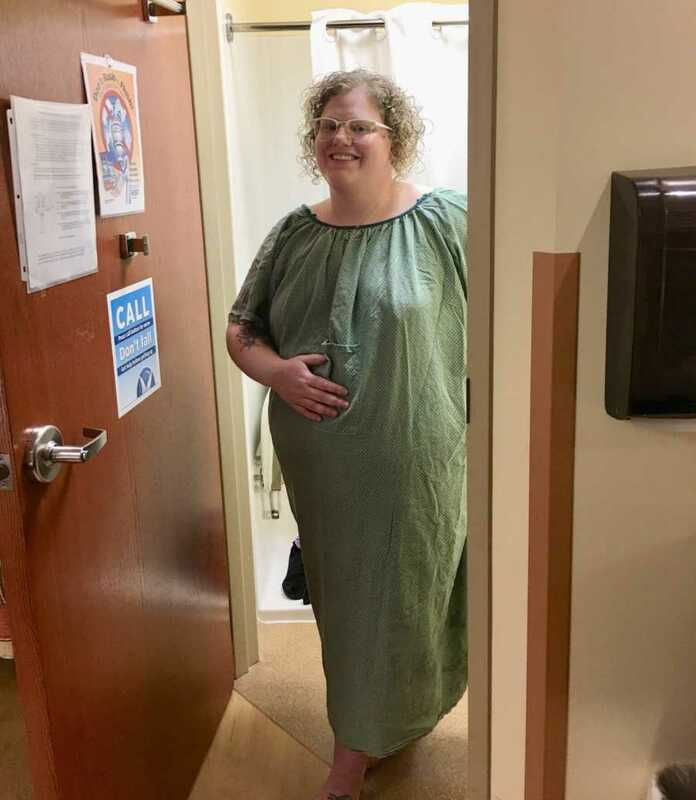 I would go to my appointments and despite being on medication, my blood pressure would be so high they’d send me up to labor and delivery to be monitored. This happened just about every week until I delivered. I was around 33 weeks pregnant and I started having severe itching on my palms and bottoms of my feet. It was so bad that I couldn’t sleep. I called my doctor and spoke with the phone nurse. She said my doctor wasn’t in that day but that it was probably normal pregnancy itching and nothing to worry about. I knew something wasn’t right. I started googling ‘itching in pregnancy’ and came across ‘intrahepatic cholestasis of pregnancy’. It’s when bile backs up into the liver and spills into the bloodstream. It can be very dangerous for mom and baby. I had an appointment with the specialist that week and brought it up to her and she did a blood test. I got a phone call from her the next day confirming that I was right. I did have it. 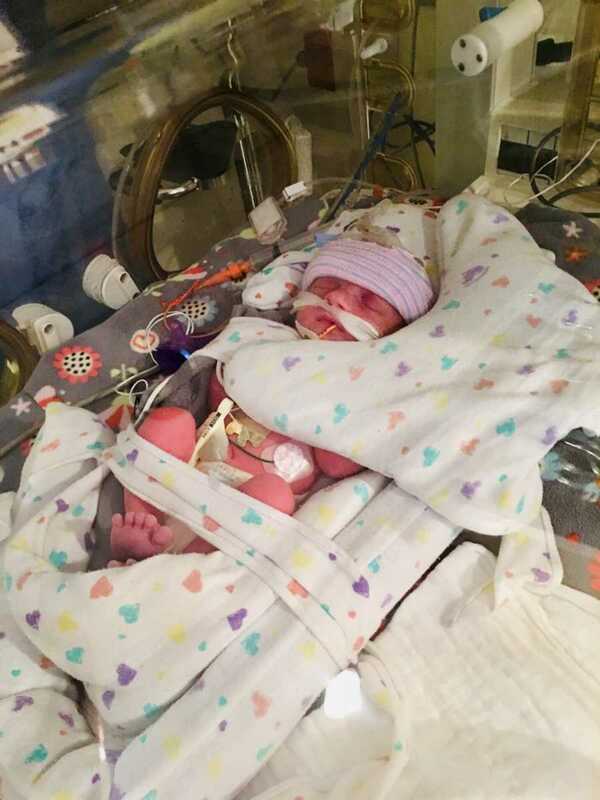 Because of the complications I was induced at 37 weeks. 21 hours later my second sweet boy was born perfectly healthy. He weighed 7lbs 1oz. I was so happy and thrilled. I had my two beautiful healthy boys and it felt wonderful. My husband and I have been together for almost 15 years. We were married in 2015. Life was good with our 2 boys. They are so funny and full of life. My oldest is 11 and Easton is 5. I just turned 31 a couple months ago. We were on the fence about having more kids and were very unsure. That changed in September 2017 when I found out I was pregnant with our 3rd. I was about to turn 30. We were completely shocked to say the least. I was pretty scared due to my previous pregnancy complications. I was seeing a new OB though and was very optimistic. Everything was going great. My blood pressure was decent; I was actually losing weight instead of gaining. In January 2018 we found out were having a girl. We were absolutely ecstatic. My husband is a truck driver and is gone on the road Monday-Friday. My best friend and my 2 boys came with me to the ultrasound and we were able to FaceTime my husband. 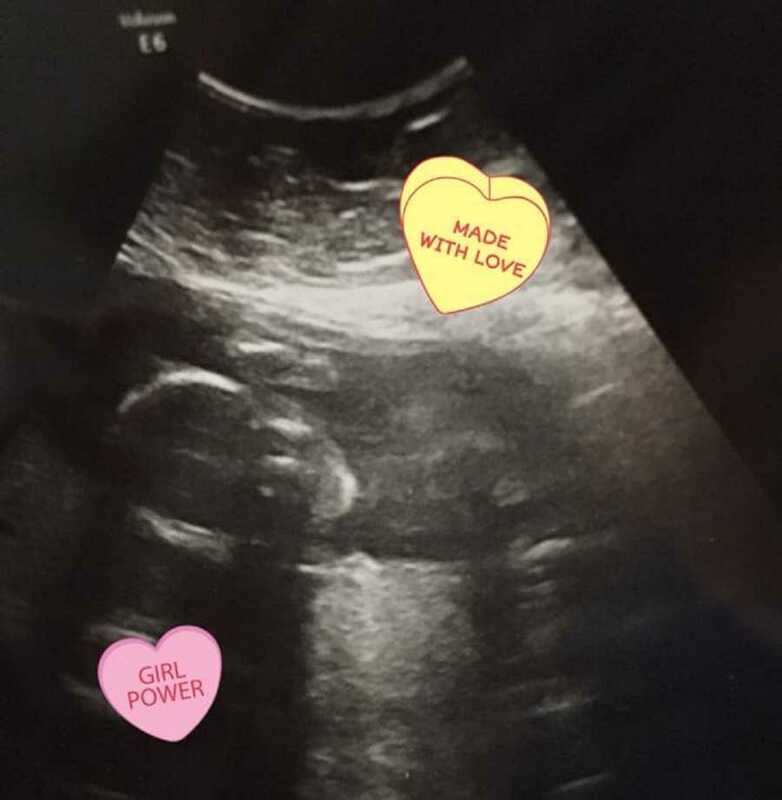 The ultrasound tech was so sweet and let us even though she wasn’t supposed to. I immediately started crying when she said it was a girl and my husband couldn’t believe it. We were thrilled. I was around 26 weeks when my blood pressure started creeping up. I was nervous but didn’t think much of it. My doctor just said we’d keep an eye on it. Around 30 weeks it got high enough to be concerning. I had to do a 24-hour urine specimen to check the output of protein in my urine over a 24 hour period. I was also started on blood pressure medication. I had done a 24-hour urine specimen with my previous pregnancy so I was familiar with the process. Two days later I got a phone call from the nurse and she informed me that I did have preeclampsia again. I was devastated. This time I was only 30 weeks pregnant. ‘Are you experiencing any symptoms?,’ the phone nurse asked. ‘I have a constant headache that won’t go away, I am seeing black spots, and I have some swelling in my face, hands, feet and legs,’ I explained. She was concerned and told me to go straight to the hospital. When I arrived with my 2 boys to labor and delivery we had to wait a good 20 minutes before I was seen. They took my blood pressure and shockingly it was 186/121. That is dangerously high. The medication was obviously no longer working. I was very close to having a seizure and possibly even a stroke. I was told that my kidneys were struggling and I had swelling in my brain which was causing my headache and weird vision changes. I was absolutely terrified. At that point I wasn’t sure if I would have to have the baby or not. I asked the nurse if she knew what I could expect and she said they would definitely be admitting me and most likely administering steroid shots for baby’s lungs. I immediately called my husband. He was working more than 3 hours from home and still had deliveries left that he had to make. He said he would get there as soon as he could. I called my mom who lives an hour away and she was able to come be there with me and take my boys home for the night. My husband finally arrived and I felt a sense of relief. I was seen by the MFM specialist who happened to be on call. 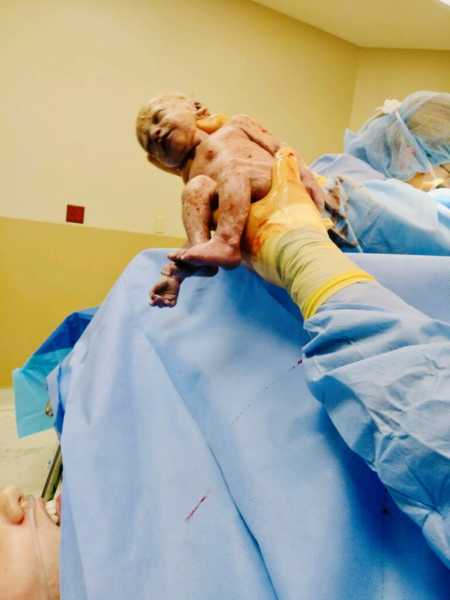 He did an ultrasound to check on baby and see if the faulty placenta was causing any restricted blood flow to baby. Luckily, everything looked fine. It was Friday, April 6th. I asked the specialist how long he thought I might make it and he predicted I would be delivering by the end of the month. I was given some steroid shots for baby’s lungs and some fast acting blood pressure medication and my pressure did come down. I was released the next day. I followed up with my doctor that Monday for a blood pressure check and it was elevated but nothing emergent. Fast forward to Friday, April 13th. It had been one week since I was hospitalized. I was now 31 weeks pregnant. My oldest son was at school and my youngest son came with me to my doctor appointment. My OB wanted to do a biophysical ultrasound and some blood work. After the ultrasound I saw him and my blood pressure was taken. It was even higher than it was earlier in the week and I had more protein in my urine indicating that my kidneys were being affected by the high blood pressure. He told me he’d be right back and he stepped out of the room. He returned a few minutes later and informed me that he spoke with the MFM and he recommended delivery. He instructed me to go to the hospital and he’d be there shortly. I immediately burst into tears when we got into the parking lot and had flashbacks of my first pregnancy. I was so disappointed. I kept wondering why I couldn’t just have a normal pregnancy? Why did this keep happening? I had to get ahold of my husband who was leaving town to make deliveries a couple hours away in another state. I prayed he hadn’t left yet. I called and told him he needed to turn around and meet me at the hospital as soon as he could. We ended up pulling into the hospital at the same time. They immediately started prepping me for a c-section. I was terrified and in tears. They tried for about 30 minutes to find a vein to do the IV and couldn’t. They were about to put a central line in my neck when another nurse asked if she could try and she was successful. That was at least some relief. The next thing I knew, I was having a panic attack. I started hyperventilating, crying, and I couldn’t breathe. I was freaking out. Everything was hitting me at once. My husband yelled for a nurse and they tried to call me down. Shortly after, my doctor arrived and it was time. We walked to the delivery room. They instructed my husband to wait in a chair outside of the operating room and they ushered me in. I was absolutely terrified. 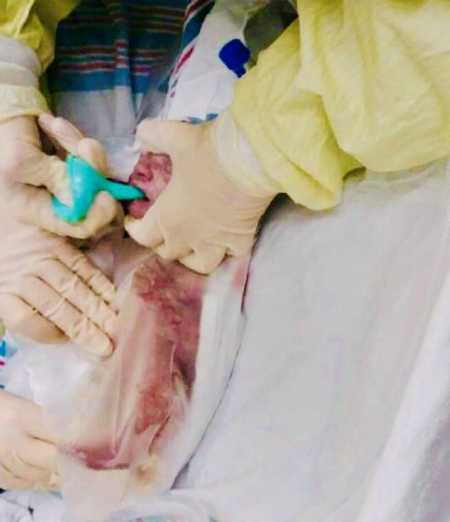 I’d had surgery before but this was my first c-section. I had an amazing anesthesiologist. She was so sweet and reassuring. We had some trouble with the spinal block and it took a while for her to complete it. I was a nervous wreck. I kept telling them how scared I was but everyone was so reassuring. When he finally lifted my daughter over the blue curtain and said ‘Hi Mom!,’ I was in awe. It was as if all of my fear and angst was gone for that moment. I saw my baby girl and nothing else mattered. She was here. In a matter of seconds, you go from being terrified to elated. She was so tiny! 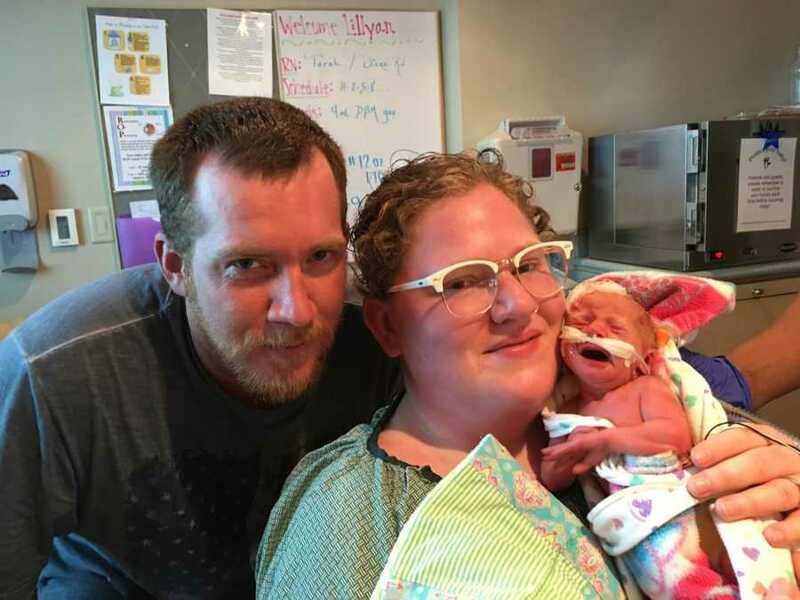 They immediately took her over to the NICU team and they began working on her. 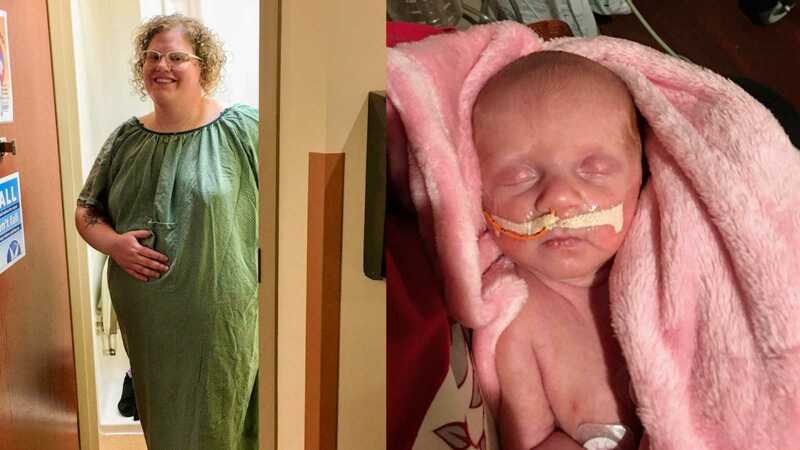 They weighed her – 3lbs 12oz, and she was 15in long. They wrapped her up and brought her over to show me really quick then they put her in the isolette, and she was gone. It was heartbreaking. I’d never gone through this before. 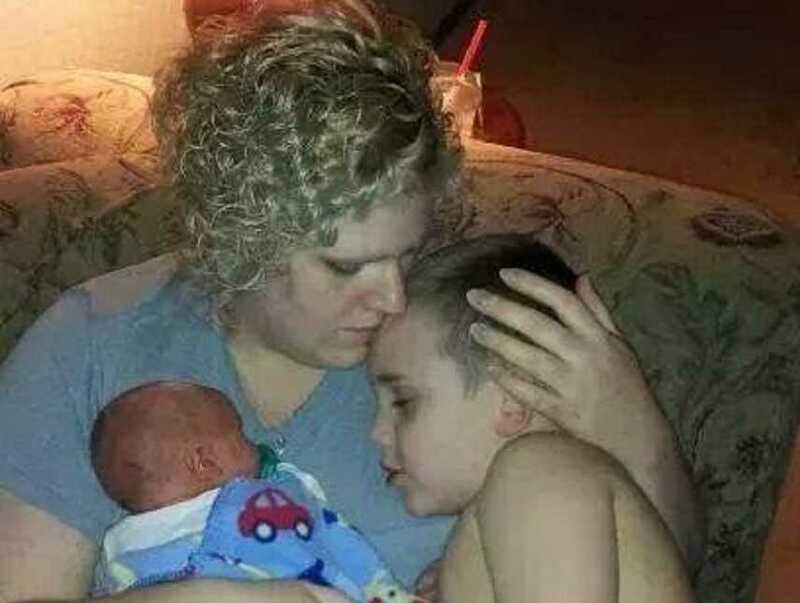 My boys were immediately put on my chest after birth and I was able to bond with them. Now, I only got to glance at my girl for a second before she was gone. 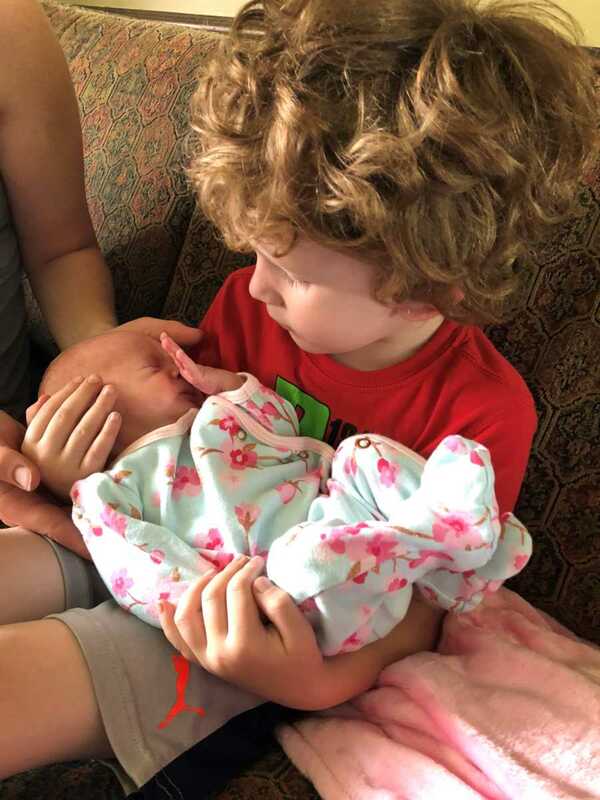 Lillyan Rose was born on Friday, April 13th at 3:34 p.m. She was named after my grandmother. I knew she had red hair because I heard the nurses talking about it. Other than that, I really wasn’t sure what she looked like. I only got to look at her for a quick second. I was feeling so many emotions as I was wheeled to recovery. I was so happy that I had a baby girl, yet so sad that it was under these circumstances. She arrived 9 weeks before she was supposed to. 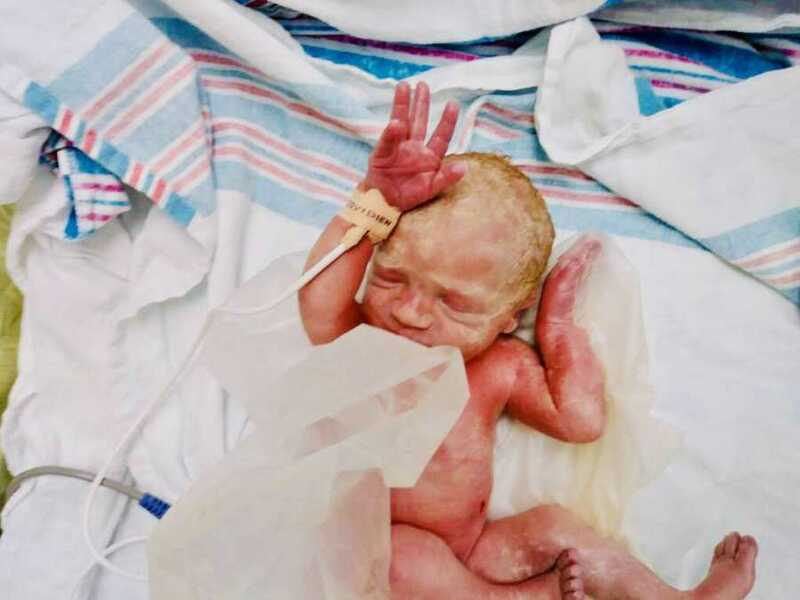 I knew nothing about preemies or the NICU. I didn’t know if she’d be ok or if she’d have health issues. While still in recovery they started me on a magnesium sulfate drip. It’s given for 24 hours to prevent seizures caused by the high blood pressure. They have to bring in a fan to put on your face because your face feels like it’s on fire and turns red. It was awful. I was told when I got to my room that I could not go see Lillyan until I was off of the magnesium and my blood pressure was stable. I was very depressed and disappointed. I just wanted to hold her and see her. 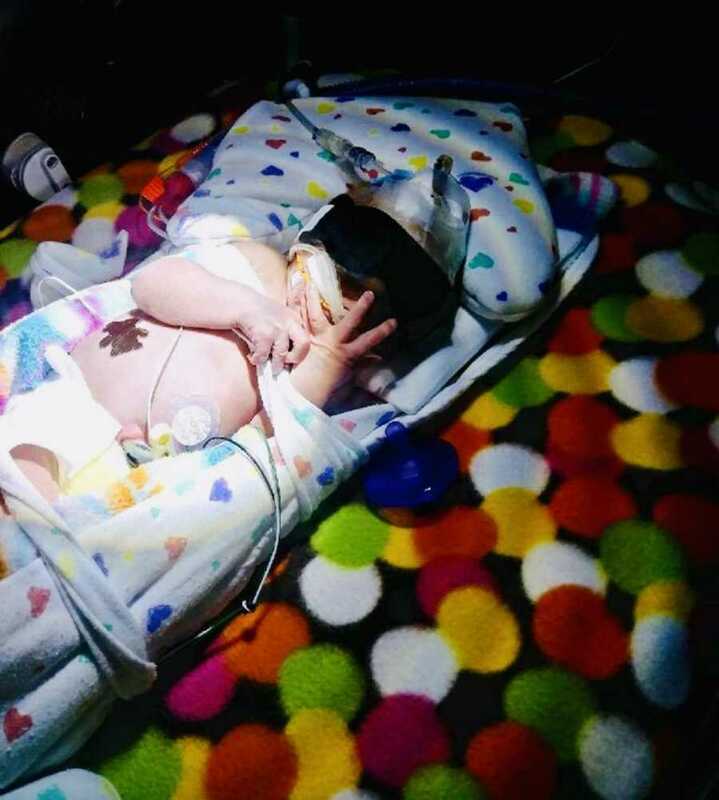 My husband went up to the NICU and took lots of pictures for me. I was quite surprised at all the tubes and wires. 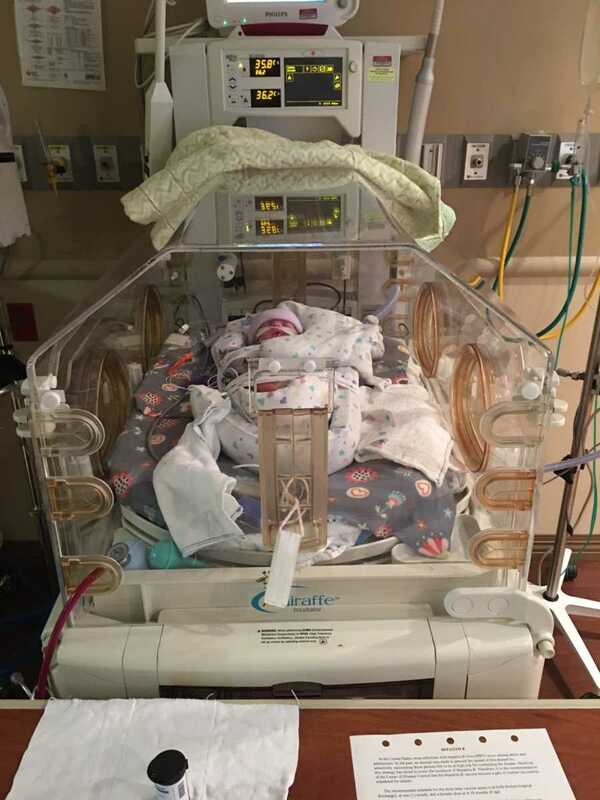 She was on a nasal cannula, she had an IV in her head, and a feeding tube in her mouth that went down into her belly. Her neonatologist said to expect her to be there until her due date, which was over 2 months away. I was shocked. I had no idea it would be that long. The next day I was still on the magnesium and was miserable. My blood pressure was still. He ordered another medication and finally gave me to go ahead to see her. The nurses helped me get out of bed for the first time which was extremely difficult. I was wheeled into my daughter’s room and once I saw her in the isolette hooked up to everything, a wave of emotion came over me. I was in tears. I didn’t know it but they were going to allow me to hold her for a few minutes. I watched as her nurse got all of her wires untangled as she brought her over to me. I was absolutely in awe. She was so much tinier than she looked in the pictures. She still had the hairy peach fuzz all over her face and body. She was very red looking. It was a sobering yet magical experience. The IV being in her head terrified me but they assured me it was normal and they had to do that a lot because the veins there are easier to access. ‘Am I allowed to kiss her?,’ I remember asking the nurse through tears. ‘Of course,’ she said. The next thing I knew, it was time for me to go back to my room. I didn’t want to leave. I cried even harder as they wheeled me out. Over the next two days my blood pressure stabilized and they released me. Leaving the hospital without my baby was the hardest part. It was like a piece of my heart being ripped out of my chest. Your baby is supposed to go home with you. It’s supposed to be a happy and exciting time. Every day I would go to the hospital to visit Lillyan and I’d bring my little syringes full of breast milk for her that I’d tried so hard to provide for her. My body did not respond well to pumping and after a month I had to stop. 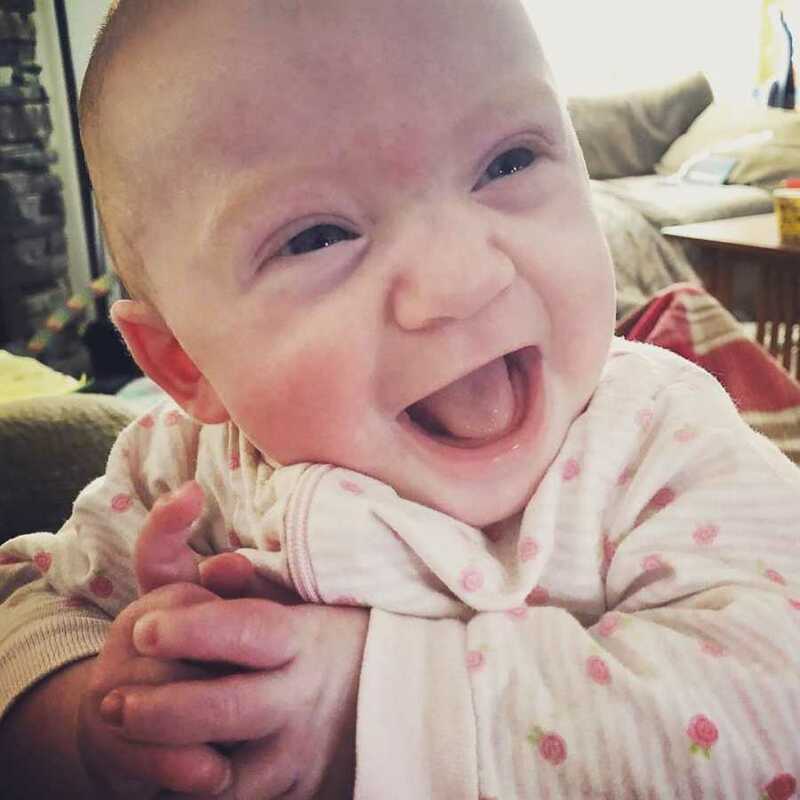 Lillyan was given donor breastmilk until she reached 34 weeks gestation. Since I wasn’t producing enough milk, we had to give her formula. I felt like a failure. My body couldn’t stay pregnant, it couldn’t provide breastmilk, it couldn’t maintain a healthy pregnancy. I was feeling so defeated. 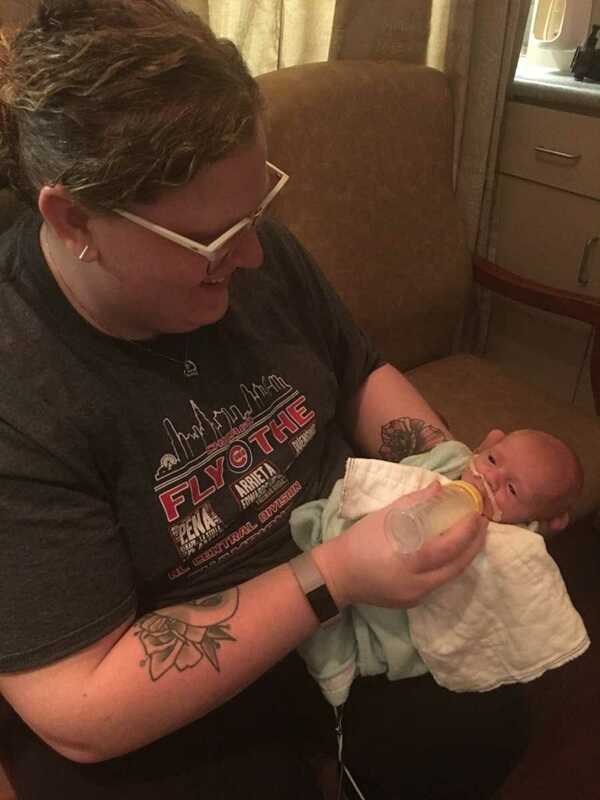 I could only go to the NICU to visit for 2 hours a day because of my boys at home and my husband being a truck driver. Walking out of there every single day was the hardest part. It felt like being punched in the gut. My boys weren’t allowed to go because of the policy put in place by the health department. They still hadn’t taken the restrictions off from the winter months for flu and RSV season. 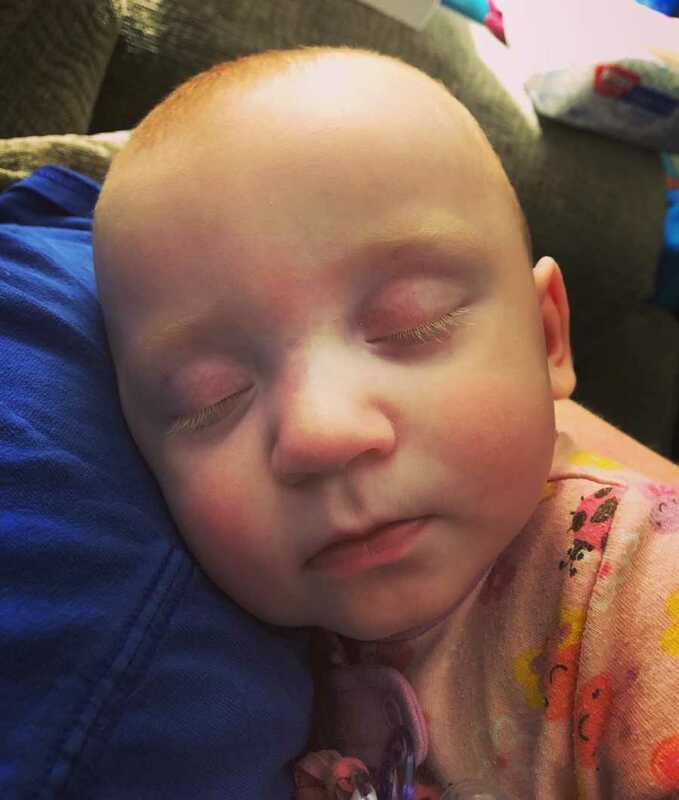 One day I walked into the NICU to visit and her nurse said, ‘Hey momma, I was just about to call you.’ I knew that wasn’t good and my heart started pounding. I could feel it in my ears as I choked back tears. I said, ‘Uh oh, what happened?’ She informed me that the night before, the night nurse said Lillyan was acting very tired and lethargic and having lots of heart rate drops. She actually had to be stimulated so that she’d continue breathing. I was frantic inside. I wanted to break down crying. Her IV was back in and she said they were giving her an antibiotic because those things are usually an indication of an infection developing. We waited a few days and nothing ever came of it. She never had another episode like that so they took her IV out after the antibiotics were done. 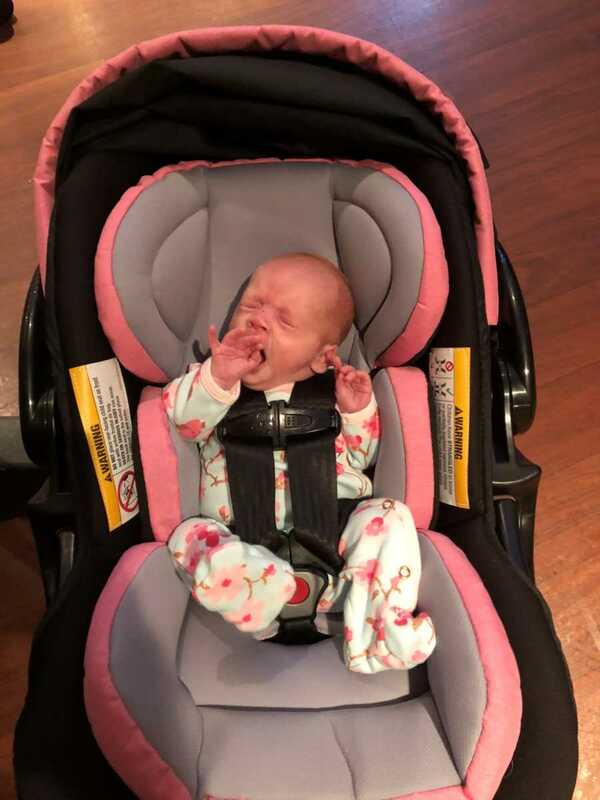 After 5 ½ weeks, Lillyan finally got to come home. It was one of the best days of my entire life. She had no major issues. I was so grateful. Those first few months were tough. When she was in the NICU, although I cried every day, I was at least kept busy. Now that we were home it was hard adjusting. It’s a lonely time. No one tells you these things. No one warns you about any of it. This is a difficult journey. But it’s one that has taught me so much. Lillyan is now almost 9 months and is such a happy, healthy baby. 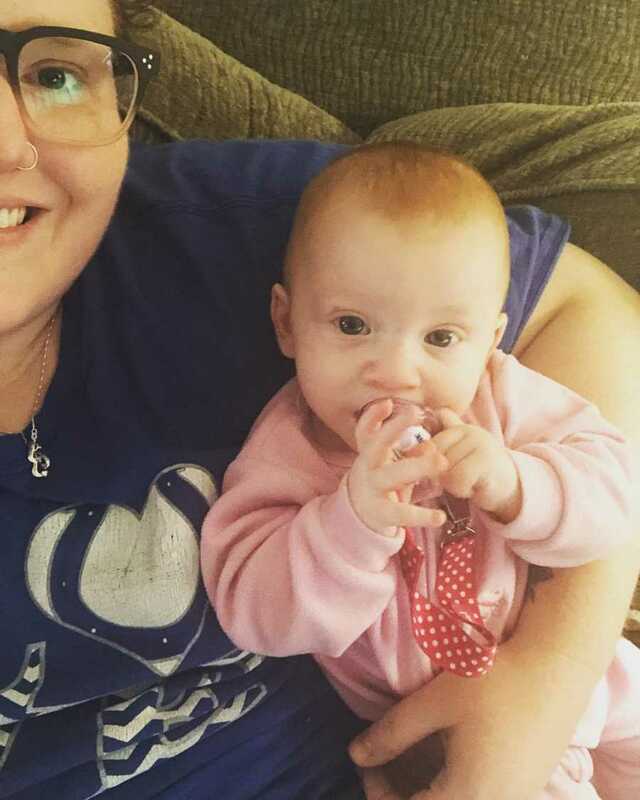 This story was submitted to Love What Matters by Chelsie Hoff of Fort Wayne, Indiana. Do you have a similar experience? We’d love to hear your journey. Submit your own story here, and subscribe to our best stories in our free newsletter here.